By Dr Sarah Moore, Lecturer in Sociology (Department of Social and Policy Sciences, University of Bath). 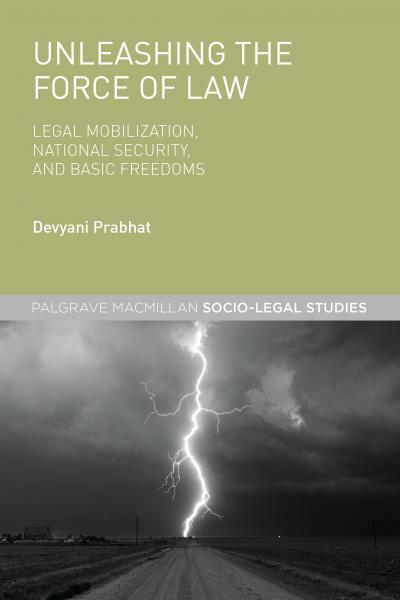 The Law School blog has the pleasure of welcoming this guest post by Dr Sarah Moore, who was one of the participants in the recent book launch of Advising in Austerity. Reflections on challenging times for advice agencies (Policy Press, 2017). 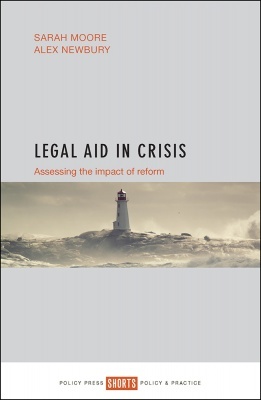 Dr Moore is also the co-author of Legal aid in crisis. 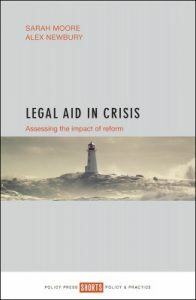 Assessing the impact of reform (Policy Press, 2017) and offers here her insightful views on the need to boost the activities and funding of the legal advice sector. Anyone familiar with legal aid reform will know that the Legal Aid and Sentencing of Offenders Act 2012 (LASPO) has dramatically altered the meaning and nature of legal aid. It has meant, amongst other things, a significant reduction in funding, largely achieved by taking a large number of areas of civil law out of scope, including private family law cases, and almost all cases involving social welfare, housing, medical negligence, immigration, debt, and employment.